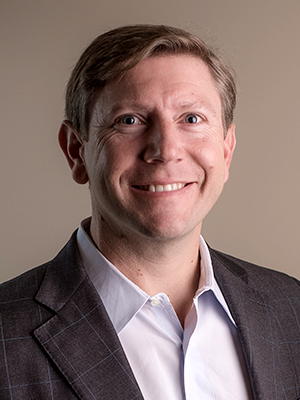 Long before Jed Inzerella played a key role in growing the business at Darnall Sikes Wealth Partners, he found his calling. The son of an accountant himself, he had a deep appreciation for accounting and business consulting, but was more drawn to financial planning and wealth management. So, after interning at a major financial institution during college and graduating with a degree in finance, he helped to establish and subsequently grow an accounting firm’s new financial services arm. Today, Jed leverages his deep understanding of investment and financial management strategies to design tax-savvy, innovative financial plans for clients — and also provides them with the support they need to stay the course, even in uncertain times. Jed has been recognized for his vision and entrepreneurial spirit by 1st Global, the firm’s broker-dealer. Jed received 1st Global’s coveted Challenger Award which honors those who have excelled in challenging conventional wisdom of wealth management and financial planning, recognizing his central role in developing a specialized reinsurance investment service for auto dealer clients. What began as a referral from a single client has grown into a strong specialized niche service for the firm that now counts more than 120 auto dealers as clients nationwide. We offer our clients a great deal of financial expertise, and that’s critical. But I really believe it’s my relationship with and understanding of my clients’ lives that may be even more important to my ability to serve them. It’s gratifying when I can bring up a topic they haven’t really started thinking about, but that could hugely impact their family now and their legacy.